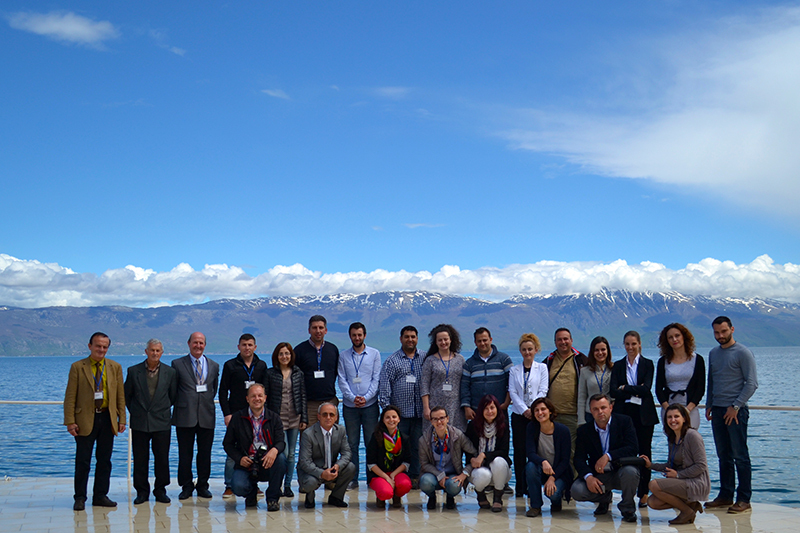 The Act4Drin project brought to the town of Lin, Albania, on the shore of Lake Ohrid, some 28 representatives from 18 environmental NGOs active in the SW Balkans (28-29 April 2015). Everyone engaged in a collective and collaborative learning process on integrated water resources management and freshwater biodiversity conservation in transboundary settings. Participants had the opportunity to take stock of their experiences on a wide range of issues including technical & research aspects, policy & advocacy, education & awareness raising, participatory science, etc. Intensive discussions and reflections resulted in a set of lessons learned and the identification of promising practices, which will be showcased in the upcoming Act4Drin handbook. The handbook will communicate acquired knowledge and ensure that beneficial information is factored into future NGO activities. The workshop, which was co-chaired by MIO-ECSDE and its member NGO PPNEA, was organized by MIO-ECSDE in collaboration with the Act4Drin partner NGOs, BIOSFERA, EDEN, GREENHOME and MES within the framework of the CEPF funded Act4Drin project aiming at raising public awareness, enhancing knowledge and empowering NGOs to protect and conserve freshwater ecosystems in the Drin River Basin. On the sideline of the workshop an unexpected issue brought the participants even closer. They came across the story of Poku, an unfortunate young brown bear that 2,5 years ago found its way to the Lakeside resort, where the workshop was held. The baby bear, whose mother was most probably killed by hunters, was raised by humans and got well accustomed to them. Poku until recently, fully tamed, used to wander freely on the lakeside but for the past seven months had to be put in a cage for safety reasons. The new owner of the resort made efforts to find a suitable home for Poku without any luck. With the support of all workshop participants (i.e. ALBAFOREST Center; BIOSFERA; Center for Environmental Democracy – FLOROZON; EDEN; EIRLA Association; Environmental Center for Administration and Technology; Association for Forests, Pastures, and Meadows (Korçë); Green Home, Greens of Montenegro, Institute for Environmental Policy; Institute for Nature Conservation in Albania; Macedonian Ecological Society; Permaculture and Organic Agriculture, PSEDA ILIRIA; Society for the Protection of Prespa; DPPVN), MIO-ECSDE and PPNEA took up the task to get in touch with the Albanian national authorities in order to find an appropriate home for Poku. 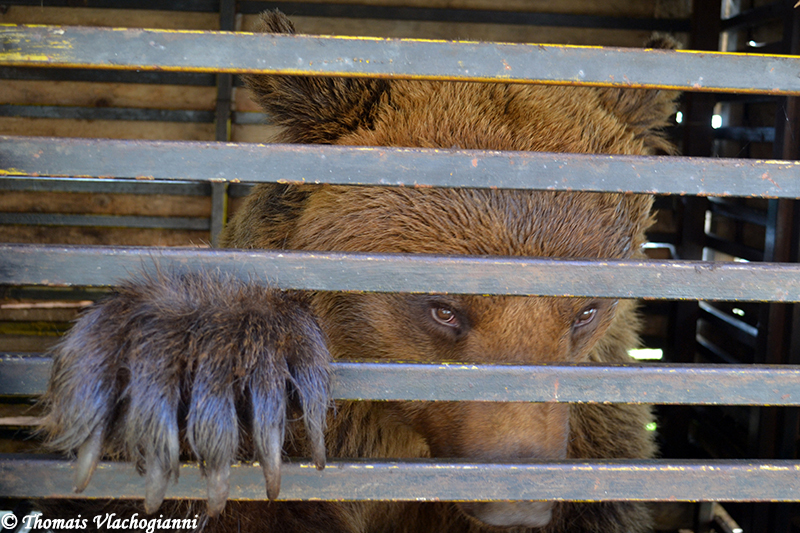 Furthermore, MIO-ECSDE contacted ARCTUROS a Greek NGO that implements cross-border projects in order to protect mountainous ecosystems, with an emphasis on bears and large mammals. They confirmed their willingness to help out and take Poku to their sanctuary once the administrative procedures are in order.